Founded in 1981 in Paris, France, Vatel is today firmly established as one of the world’s leading hotel schools with the mission to develop future senior managers of the hospitality and tourism industry. There are 24 Vatel centers throughout the world delivering the same courses to 5000 students based on the right balance between theoretical university courses and professional experience. This tried and tested concept has the approbation of the professional world as a panel comprising the highest ranking representatives of the international hospitality industry awarded Vatel in 2003 with the Worldwide Hospitality Award for the Best Training Program, and again in 2010 for the Best Professional Success and Best Educational Innovation. IFOP (French Institute of Public Opinion) also ranked Vatel as the top school in Europe for hotel and tourism in 2007. Vatel has achieved a graduates’ employment rate of 90%! This in part is due to the valuable industry network of over 20,000 Vatelians working in the most prestigious hotels around the world. Vatel is truly the gateway to global hospitality, tourism, and luxury careers. The Bachelor’s Degree in International Hotel Management programme’s objective is to train students for operational and administrative management positions. The programme combines cutting-edge management science with traditional know-how in international hotel and restaurant management. Students are expected to participate actively in every phase of this highly internationalized and multicultural academic program, and coursework is reinforced through immediate application of knowledge in practical settings.The faculty strives to attain outrivaled teaching standards by pushing back the boundaries in their respective disciplines and coursework complements practical training, cultural and technical seminars. Consisting of a fixed curriculum of required courses, students alternate coursework with practical situations in which they have the opportunity to apply and test what they have learned while attending the Bachelor’s Degree in International Hotel Management programme. Students have all basic knowledge required. Students then are ready to begin team management, right in School. They develop their analytical capacities, using the wealth of knowledge they now have, devise strategies and the take their first steps in making decisions. These experiences, in the framework of upcoming practical applications, allow them to begin Management Training in a company without any stress. 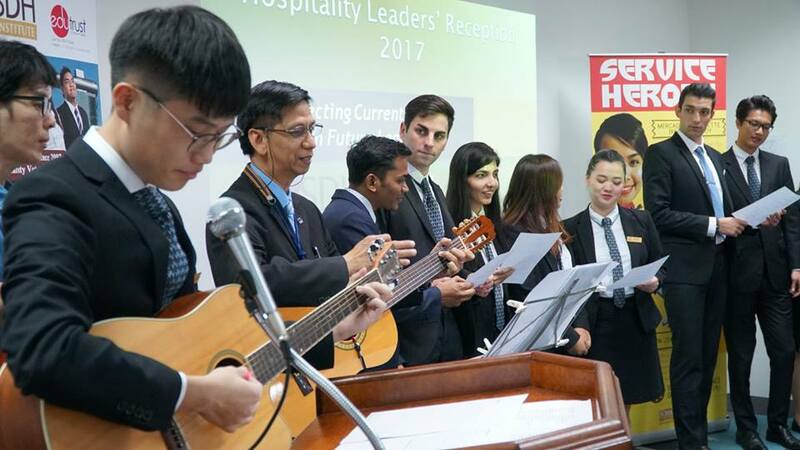 Each student will again go through a six-month industrial attachment at hotels. This is yet another opportunity to display the learning evidence not only in class but also in practical performance. During and before finishing the industrial attachment, each intern will be evaluated to determine the extent of learning and qualifications of such intern. The student is expected to gain the confidence to be fully employed at this stage.SDH emphasizes a lot on an internship as internship experiences are key to building exposure as a student or recent graduate. Employers are much more likely to hire someone with internships and work experience – particularly in a competitive industry like the hospitality and tourism. 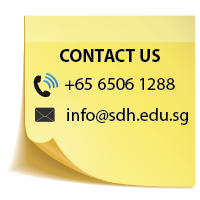 SDH has strong industry linkages with leading hotel chains, integrated resorts as well as top F&B establishments. Our lecturers keep connected with our students and check on them while they embark on their internship journey. Students, who have by now acquired legal, economic and linguistic capacities, are ready to manage teams at school. In this year, they develop their analytical capabilities, call upon the knowledge accumulated so far, devise strategies and take decisions. Students who complete the Bachelors Degree in International Hotel Management (Top Up) are able to enroll in MBA in International Hotel Management awarded by Vatel International Business School Hotel & Tourism Management, France. This module helps students to understand how costs occur and to master budget management. Students will be able to ensure the follow-up of the results in an operational department. This module helps students to master and implement actions that a hotel has to impact the market. Students will know how to design a coherent and efficient market mix through comprehension of product, price, distribution and sales policies. 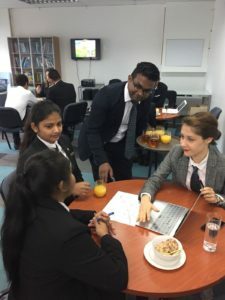 This module develops knowledge in human resources and rouses curiosity in students to be able to search for legal information on human resources in the hospitality industry. This module helps students in understanding fiscal obligations a hotel has and knowing how to draw up a budget that includes all the various social contributions a hotel or a restaurant makes. This module helps students to be able to build spreadsheet tools and data base management systems which help an organisation’s activity as well as the decision-making process for the manager. This module also gives an introduction to data base analysis. This module enables students to present a relevant professional application compared with the students’ skills and profile. Students will be able to introduce themselves, highlighting skill sets and writing a resume and a cover letter. This module helps students to understand cultural notions and their consequences in managerial situations. Students are able to implement tools and cultural determinants in order to approach differences and manage an international team. Students also can learn how to overcome stereotypes. This module helps students to understand the different internal and external communication levers. Students are able to implement communication tools in a local market or an international one. An introduction to advertising creations will be covered in this module as well. This module enables students to have an extensive knowledge of the global political situation. This module gives an introduction to marketing and sale of wine and spirits. 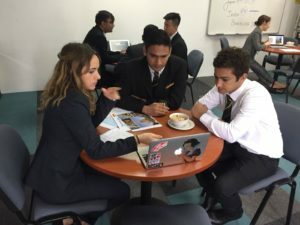 Students will be able to know the circuits and distribution strategies in the beer, wine and spirits industry, know how to develop a sales strategy for wine and spirits in restaurant services, to use digital communication methods to sell wine and spirits and roll out a wine tourism development strategy. This module gives a deep knowledge of the breadth of the tourism industry and global trends to students. Students will know how to identify the main touristic zones and highlight how tourism is changing. This module enables students to know how negotiating works in order to be able to negotiate in all domains of the professional life (commercial relationships, managerial situations and social situations). This module helps students to increase and master professional vocabulary linked with management and marketing. At the end of this module, students should be able to demonstrate confident interpersonal communication in an eloquent manner. Students should also be able to analyse situations and apply the most effective communication method for each situation. This module helps students to increase and master professional vocabulary linked with management, marketing and economic press. This module helps students to have practical skills on managerial experience and prepares them for both the working life and industrial attachment. Get Your Bachelor's Degree in International Hotel Management! Start Your Bachelor Degree Journey Today!